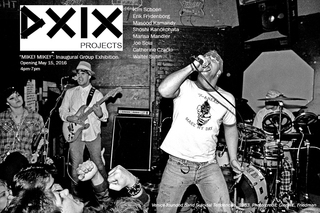 DXIX is an artist run project house in Venice, CA that seeks to contribute to the art context in Los Angeles and offer a non-commercial art space in Venice Beach for contemporary projects. At DXIX we facilitate exchanges, collaborations and conversations among artists, curators, writers and audiences to create exhibitions, workshops, events, publications and other materials. One of our main goals is to nurture long-term productive relationships with our collaborators, collectively becoming supporters and instigators for the many yet-to-be determined contemporary projects down the long road.